Like “optimization” before it, “social CRM” (sCRM) is the latest catchphrase that has marketing and customer intelligence professionals abuzz. Broadly, social CRM is the application of emerging social technologies, strategy, and data to traditional customer relationship marketing (CRM) practices. Core sCRM components to consider when extending traditional CRM approaches are strategy, data, and underlying technology used (e.g., text mining). 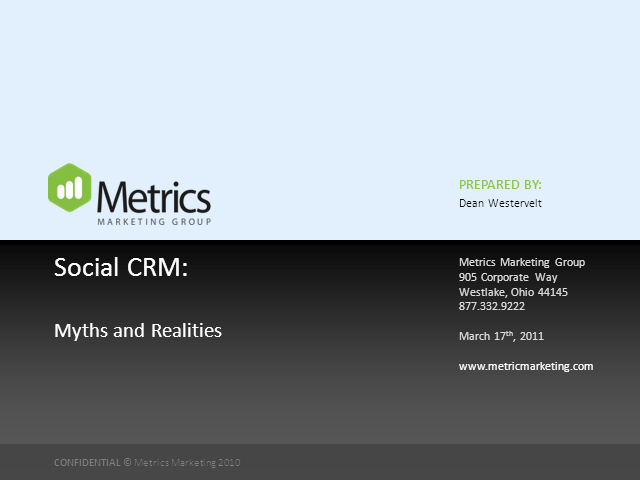 Learn to separate the myths about sCRM from the realities. This presentation will highlight current realities and challenges facing each of these three foundational aspects of sCRM.